7 Reasons Prudential Stomps Other Insurance Companies By far, the company we recommend most often is Prudential. Yes, You Can Still Qualify up to Age 85. Sample Quotes Below. Yes, you can still purchase life insurance between the ages of 81 to 85, and in some cases, even to age 90. Before reading too much below, let’s look at some sample cost of insurance rates. I always feel it’s best to discuss life insurance pricing right out of the gate when dealing with my clients over age 80, since sometimes the premiums are prohibitive. The quotes below are for a male age 81, 82, 83, etc in good health, who can qualify for the best health classification, and purchasing a 10 year term policy. Note: Life insurance for people over 80 listed above are valid as of 12/2/2011 and subject to change. Not available in all states, and based on Preferred Non Tobacco User. Psst! As an added bonus, you can find out what my picks are for the best life insurance companies – click here to read more! Please keep in mind you can also get quotes for $25,000 or $50,000. You don’t have to buy $100,000 if the premiums are out of your budget. Use our quote form on the right for a quick quote. You should also be aware that if the cost of life insurance as a senior is prohibitive, you can potentially save thousands per year by purchasing a second-to-die policy, which only pays a death benefit upon the second death. This could be the perfect solution for a estate planning need or to leave an inheritance to your children. 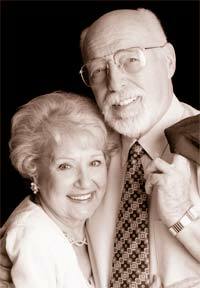 The key purchasing life insurance at age 82 or 84 years old, or any age for that matter, is your health. If you’re healthy and have had no history of serious medical impairments, such diabetes, COPD, or heart disease, you will pay a lower premium than the policyholder who has had medical problems. Why Consider “10 Year Term” Life Insurance?